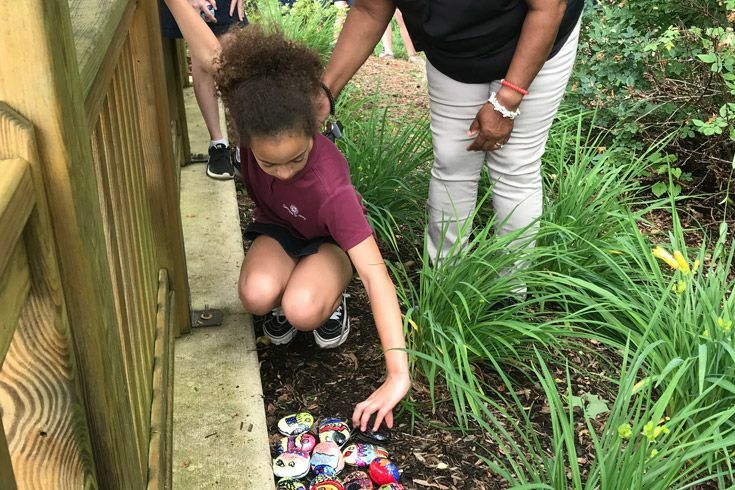 Three times each year, Preschool Assistant and Lower School Open Doors Teacher Ms. Renee Spears meets with every grade to engage students in conversations about diversity, inclusion, and understanding of self. 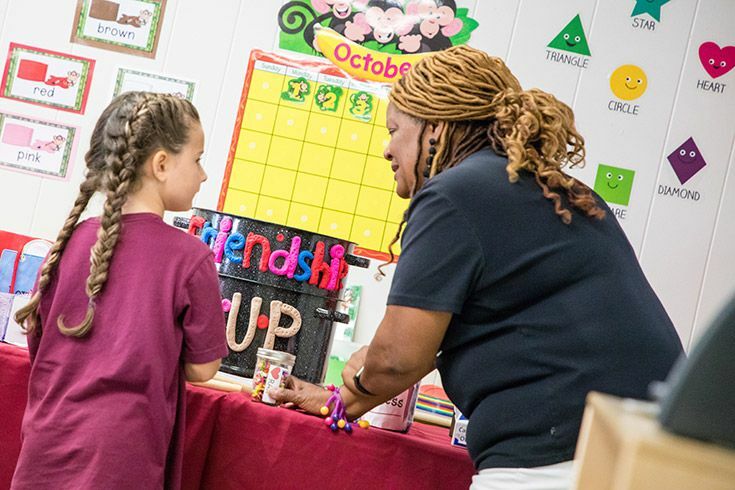 Part of our character education curriculum in the Lower School, Open Doors gives our students dedicated time to explore our differences and similarities with understanding and appreciation. Friendship is an important training ground for learning how to get along with others — how to collaborate, listen to different opinions and speak up for yourself. Our first Open Doors sessions of the year explored the ups and downs of friendship and what it means to belong. She led a discussion about each ingredient and asked questions to help our first graders make connections to their own lives. Lexi '30 said, "If somebody pushes you, they say I’m sorry and then you forgive them." When the discussion turned to encouragement, Jamison '30 shared, "Encouragement is helping someone out if something is tough to do." Asking open-ended questions starts a dialogue in which students can test assumptions and explore the whys behind their thinking. 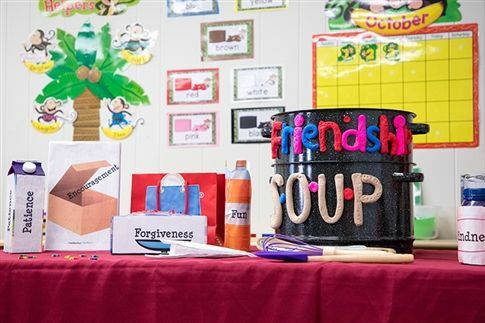 Each student added their own ingredient to the class friendship soup using props that mimic kitchen items. Every ingredient is important to making a good friendship...even the arguments. They completed the lesson by creating their own friendship soup artwork. Ms. Spears encouraged the class to share with their families before they bring it back to school. Creating their own “friendship soup” to take home. Last spring, Open Doors created a “rockfish” path to explore the idea of uniqueness. The classes read Only One You by Linda Kranz and talked about what it means to be unique, emphasizing that everyone is different in some way. They discussed how anyone can make positive changes in their lives and the lives of others. These types of conversations help students see the value of diverse perspectives rather than treating difference as something to avoid. 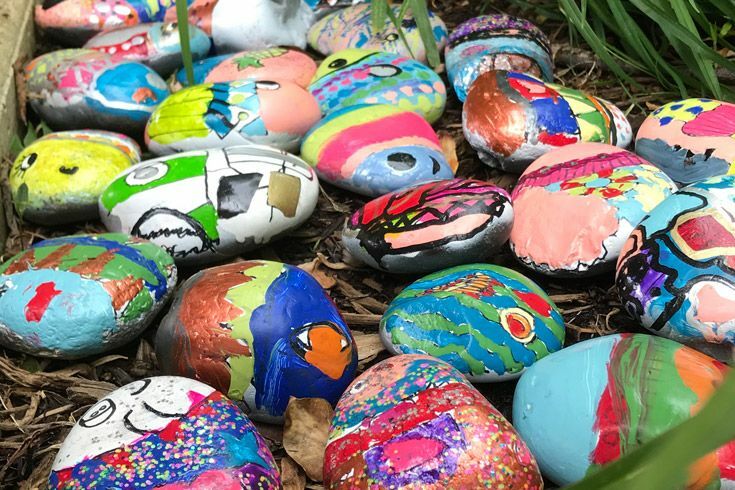 After their discussion, the class worked with Lower School Art Teacher Ms. Friedman to design and paint their rocks — each with its own unique characteristics — and created a path with them outside. Together, they make an impressive display. You can still see them out back on Chesapeake Campus! Each unique rockfish is an important part of the group. These are just a few examples of how Ms. Spears creates an environment where students are excited to learn about themselves and each other. Each Open Doors session includes a fun, engaging activity to help our students form positive associations with the material. She gives them the right tools and vocabulary to talk about what they observe in others and in themselves. And every lesson is a multi-sensory experience to engage the whole class in whatever way they learn best. 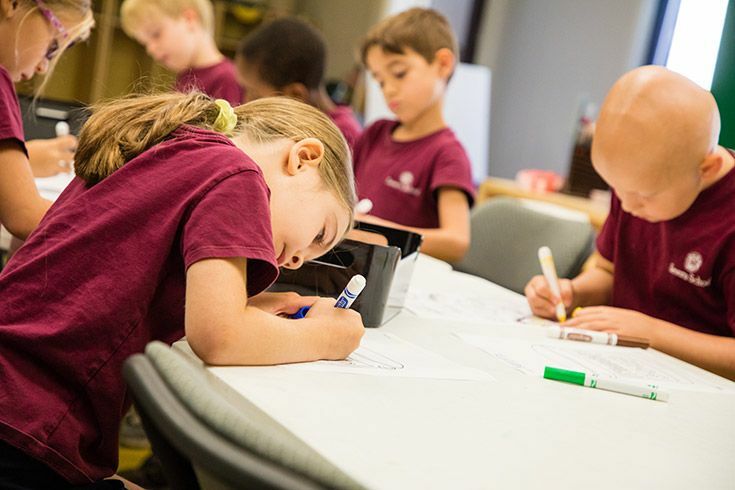 Learn more about character education in our Lower School. Every ingredient is important in friendship soup!